Are you bored of uploading videos, commenting videos and still having just few views? If you answered yes, you have come to the right place. i will give you 10,000 views/likes in just an hour or less. 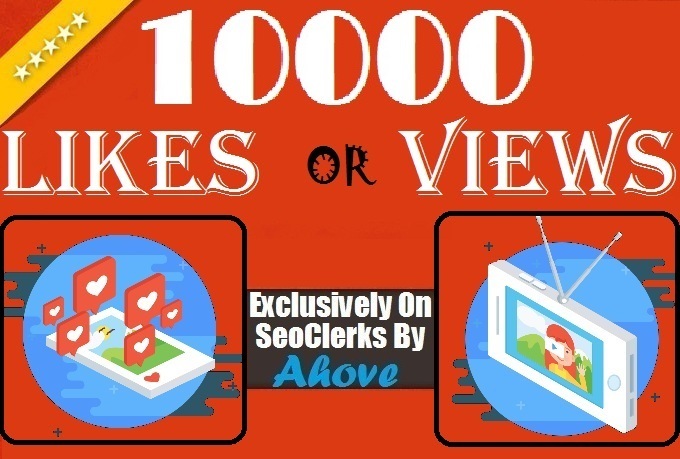 Views/likes can be deliver in 10 posts maximum mean minimum 1000 views/likes possible in one post. With few simple clicks you can have more followers on that you could ever imagined. why then pay $20 - $30 just to get likes, when i would reveal to you the secrets of getting fast and reliable Views/likes. Get Insatnt 10000 Likes Or Views In Social Media Posts is ranked 5 out of 5. Based on 605 user reviews.